Portland Parks and Recreation is a proud partner in a new youth basketball league assisting Somali youth and other immigrant teens embrace the popular game while helping them meet the challenges of life and achieving their dreams. 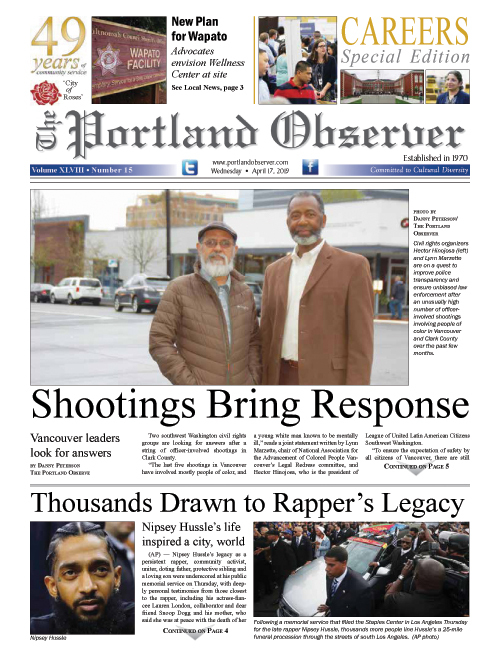 A new basketball league is geared toward Portland’s immigrant population and focused especially on helping youth of Somali and east African descent meet the challenges of life in a new country and achieving their dreams. “We are so excited to have the support of Portland Parks and Recreation, which is providing both the space and enthusiastic support for our youth basketball league,” says Jamal Dar, executive director of the African Youth Community Organization. The league, which is also supported by Nike and other partners, provides structure for the teen players and a safe, supportive environment where staff and volunteers reflect the cultural communities of immigrant and refugee youth. Currently the league has 40 teens playing and 60 on the waiting list in the inaugural year of the program. The players are originally from Somalia or neighboring parts of east Africa. Games played each Friday at the Montavilla Community Center in southeast Portland started earlier this month and end in early February. Dar hopes to grow the program by adding more sponsors, companies, foundations and volunteers. For more information or to offer financial or volunteer support, contact AYCO youth coordinator Omar Mohamed at Omar@aycoworld.org or AYCO Executive Director Jamal Dar at Jamal@aycoworld.org.